Minerals are of primary importance to proper cell function. In 1930 C.F. Schnabel fed his family grass. By 1936 about 99% of Americans may have been considered mineral deficient. 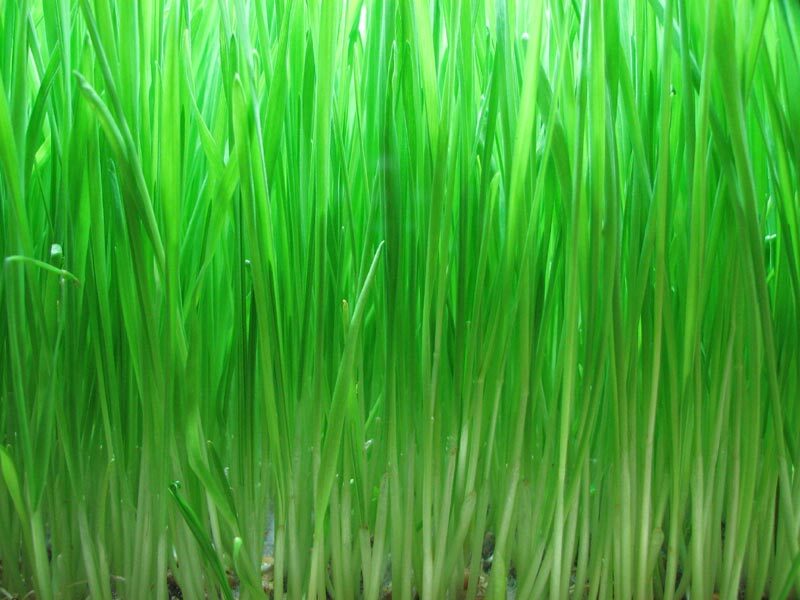 Grass improves nutrition, blood and immunity. Tender young grasses possess the unique ability to absorb about 90% of the minerals available in living soil. 'Growth factors' stimulate the reproduction of body flora. Intestinal flora live in symbiosis with their host organisms such as humans. Intestinal microflora appear to exert a pulling effect on the host respiratory system which can stimulate respiratory efficiency and volume. Root auxin occurs on the tips of juvenile grasses and may be the key to a mysterious quality known as 'the grass juice factor'. This yet unexplained quality gives the tender young grasses the ability to sustain life indefinitely. Perhaps root auxin is Nature's ultimate growth factor. Nature possesses the most powerful detoxifying elements. Leafy green edibles have cleansing properties and promote perfect body ecology by functioning as growth factors for beneficial body flora. Cadmium is provided by leafy greens and helps remove mycotoxic compounds from the body. The nutritionally richest foods possess the greatest bio-photon energy. Bio-photon energy is coherent, visable laser-like light...a weak electro-magnetic field in the visable spectrum. Bio-photons provide evidence that electrons are being scavenged from an invisable power source which permeates the universe. Any life which can reproduce itself contains bio-photon energy. Stronger reproductive energy is associated with greater bio-photon energy. Organic produce may possess five times the bio-photon energy of the alternative. Higher bio-photon energy can improve communication between the cell's nucleus and membrane. The juices of tender young grasses may be considered among the Earth's 'manna' foods for their ability to indefinitely sustain life. The richest nutrients possess the greatest bio-photon energy. 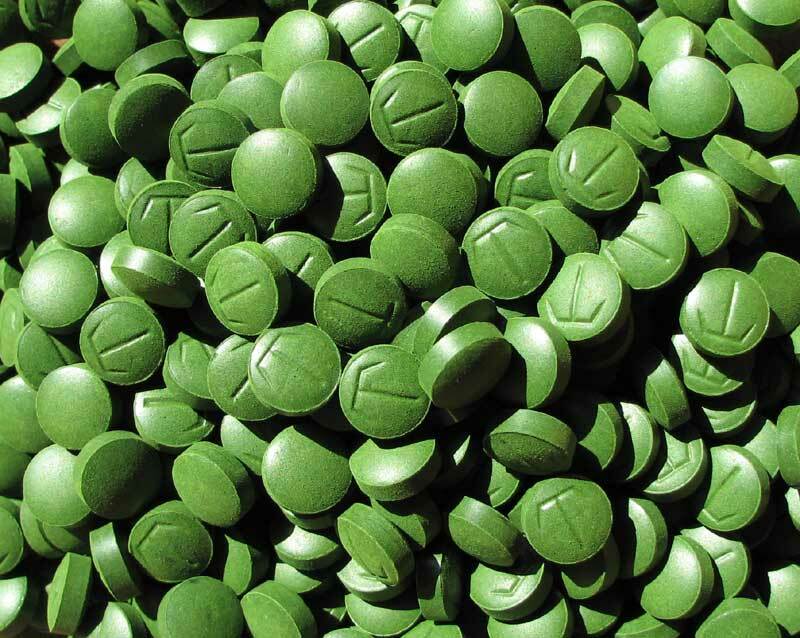 The nutriceutical properties of Chlorella and Spirulina appear to exceed all other aquatic plant foods. Is a primitive single cell plant food containing an high amount of chlorophyll and could be one of the most potent edibles on Earth. Is capable of quadrupling every twenty-four hours; evidence of superior genetics. Alone, has been known to sustain human life indefinitely and can be considered one of the Earth's 'manna' foods. Consumption provides a quadrupling of the growth rate of friendly body flora making it one of the most potent 'growth factors' available. May be a more powerful whole food than any isolate multivitamin or supplement available. Aids in immune and digestive wellbeing. Is alkalinizing and healing to the intestinal linings. Has been shown to remove synthetic chemical residues and heavy metals from the body. Is a food that provides the body with the minerals, enzymes, vitamins, aminos and carbs needed for cellular rejuvenation. Has been shown to promote immune building and growth in children. Provides the most complete array of aminos of any whole food on Earth. Is a Raw Whole Food. Is best eaten on an empty stomach at least 20 minutes before other food.